A stackable shelving unit that adds dimension to any room's walls, the One Module Composition 2014-001 from Tema represents a terrific addition in a modern or traditional setting. 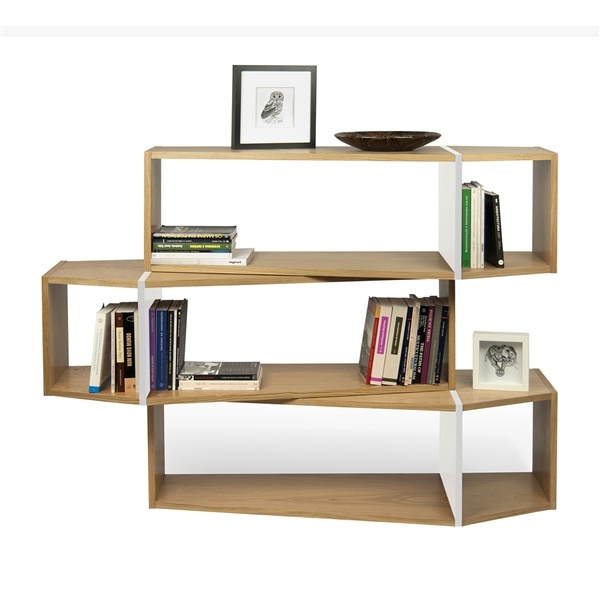 This shelving unit consists of natural oak veneer in a matte white or matte black finish to complement any setting's decor. Also, the shelving unit offers ample space, making it easy to display antiques, photographs and more. Choose a shelving unit that is sure to serve you well for an extended period of time with the One Module Composition 2014-001.